War has devastated the kingdom of Donderath and left magic raging out of control, threatening to bring chaos and madness to the survivors scrambling for existence in the ruins. Blaine McFadden, last of the Lords of the Blood, seeks to restore magic before all is lost. Reign of Ash is the second book in the Ascendant Kingdoms saga and takes up exactly where the previous book, Ice Forged, finished. 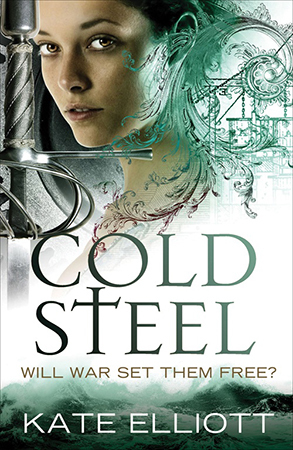 Although Martin does a good job in summarising the events of the previous novel in the narrative, it would certainly help to have read Ice Forged before starting this one. Martin manages to portray a collapsed kingdom just as effectively as before and the atmosphere is genuinely gripping. The talishte (for this, read vampires) take a greater role and although the current vampire saturation may cause this to elicit a groan or two, Martin’s take on the blood-suckers is original enough not to make it derivative. The introduction of the millennia-old Wraith Lord adds a new twist to the vampire backstory and is a neat device to allow Martin to probe into Donderath’s past. The story proceeds at a moderate pace with twists and turns in the plot being revealed at just the right rate to keep the reader interested. 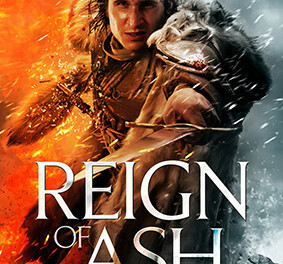 Martin may have been channelling Dan Brown with Reign of Ash as the characters follow a trail of clues left by a mysterious mage on how to restore magic and prevent further disaster. The action moves from place to place as they follow one clue to the next but it would be cruel to describe this as a fantasy version of Da Vinci Code as the characters still take centre place and the plot is compelling. All the characters from the first novel are still present and the personal stories of the major players are sufficiently developed to create a sense of continuing evolution. There are a lot of characters in this book though and sometimes Martin seems to struggle to give them all adequate attention but this doesn’t really detract from the book. 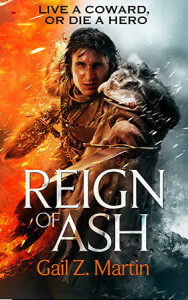 Overall, Reign of Ash is a worthy follow-on to Ice Forged and if you read the first novel, you really should read this one. If you haven’t read the first novel, this is still a good read and the series is shaping up to be a quiet highlight of recent years. The story is a page-turner and even though it’s reasonably hefty at around 670 pages, you’ll find yourself reading it in no time.